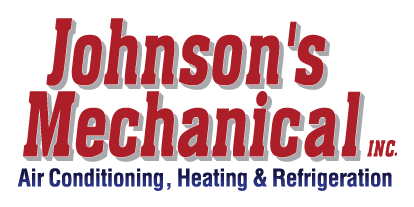 Wine Coolers, Lakeland, FL | Johnson's Mechanical Inc. Wine Coolers, Lakeland, FL | Johnson's Mechanical Inc. There are three main benefits that make wine coolers a good option for storing your wines effectively in Lakeland. Are you looking for a great way to cool your wine to the ideal temperature while maintaining the integrity of the wine? Before you decide that it’s time to install a wine cellar, you should consider taking a look at the many different types of wine coolers that are on the market today. While you may wonder what the benefits of wine coolers are, there are three main benefits that make wine coolers a good option for storing your wines effectively. The three top benefits of wine coolers are temperature, humidity and vibration. When your wine cooler is functioning properly, it will allow your wine to age properly, lower the temperature of your wine gradually and protect the wine from vibrations that may disrupt the aging process. In addition to these benefits, wine coolers are small enough to be placed in a convenient location, are less expensive than wine cellars, and are low-maintenance and environmentally friendly. If your wine cooler is not working properly and you want to preserve the integrity of your wine, it may be time to call in our repair services at Johnson’s Mechanical, Inc.
We are a state certified refrigeration contractor in Lakeland, Florida. Since 1982, we have been providing our customers with quality and professional refrigeration services. When you contact us about services we offer for wine coolers, we will arrive promptly and assess your wine cooler needs. Once we’ve determined what the issue is, we will provide you with the best options for getting your wine cooler functioning properly again, quickly and efficiently. We will also provide you with an estimate of what your costs will be. When the job is complete and your wine cooler is functioning properly again, we will provide you with our preventative maintenance tips. If you want more support in preventative maintenance, we will be glad to offer you our preventative maintenance package. Let us assist you in all of your wine cooler needs today.